Hi, my name is Nooroa Te Hira (Anguna). I have been illustrating all my life, in earlier days I was not aware of my gift. I used to dream as a wee kid of being a signwriter because in the early 70's that's all you could be if you had a creative artistic gift. I thought everyone had the ability to pick up a pencil and draw. To my surprise people were afraid, for fear of making a mistake. I found it natural just to go ahead and start making scratch marks on paper. People would often say "I wish I could draw" or "I can't draw to save myself''. Well after getting encouragement from friends and family to pursue a career in the arts. 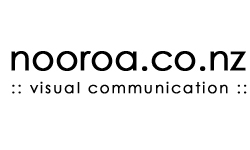 I left the mainstream and followed 'Hollywood', well New Zealand's Film Industry. I have always loved the movies and now I was helping to make them. 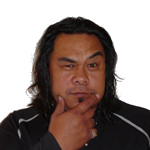 I got a couple of acting jobs in small features ie;"Lawless 2", "Street Legal", "Mataku", "Aroha", "Shortland Street" etc. One day I was drawing some images while I was waiting for my turn to act, when one of the Art Department staff saw me and suggested I go and talk to the director, because they need "storyboards" to help tell the story of what they want to achieve on screen. I now want to help other people like yourself to draw their own storyboard. Art has given me inspiration throughout my life. It is a gift to be shared. Not only has visual art put food on the table it has also put smiles on people's faces. I welcome you to join me to develop your artistic gift. Please feel free to contact me anytime.